Cracksman‘s memorable triumph by six lengths in Ascot’s G1 Champion Stakes in October ensured he would be worthy of an award at season’s end. That he shared the Longines World’s Best Racehorse Award with one of the great champions of the southern hemisphere, the incomparable Winx, was something of which his connections can be proud. The international panel of handicappers, who compile the world ratings, could not separate Cracksman, winner of three of his four outings in 2018, and Winx, who is currently on an incredible winning streak of 29. Both horses, officially Champions in their respective hemispheres, were rated 130. 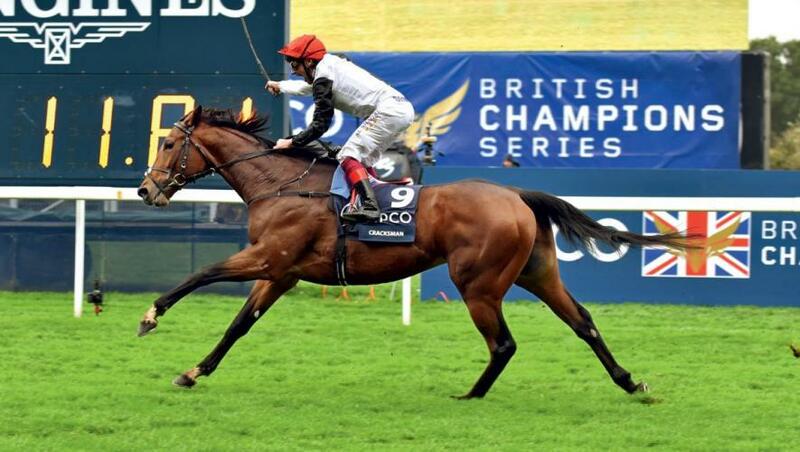 Cracksman, who is scheduled to start his new career as a Darley stallion at Dalham Hall Stud in coming weeks, took the G1 Prix d’Ispahan, the G1 Coronation Cup, prior to being beaten by Poet’s Word in the G1 Prince Of Wales’s Stakes at Royal Ascot. He rounded off a brilliant season on Ascot’s Champions’ Day, in the race he had captured by seven lengths the previous year. He is a son of Frankel out of a Pivotal mare and has already proved extremely popular with breeders for both pedigree and racecourse performance. He raced 11 times for 8 wins, 2 seconds and 1 third. Winx continues to make headlines in Australia, having not tasted defeat since April 2015 when she was runner-up in the G1 Australian Oaks at Randwick, Sydney. She continues to excel at the highest level. A daughter of the late Darley stalwart Street Cry, Winx has held her form remarkably well for the past four years and is a credit to her connections. She won an unprecedented fourth G1 Cox Plate in October and will continue to race on this year. She is expected to face retirement after The Championships at Randwick in April. Co-owners Peter Tighe and Debbie Kepitis and trainer Chris Waller attended the Longines-sponsored awards ceremony in London today. Accelerate, the G1 Breeders’ Cup Classic winner at Churchill Downs, was ranked third in the world, on 128, while Roaring Lion, Hong Kong’s Beauty Generation, and Gun Runner were all on the next level, rated 127.